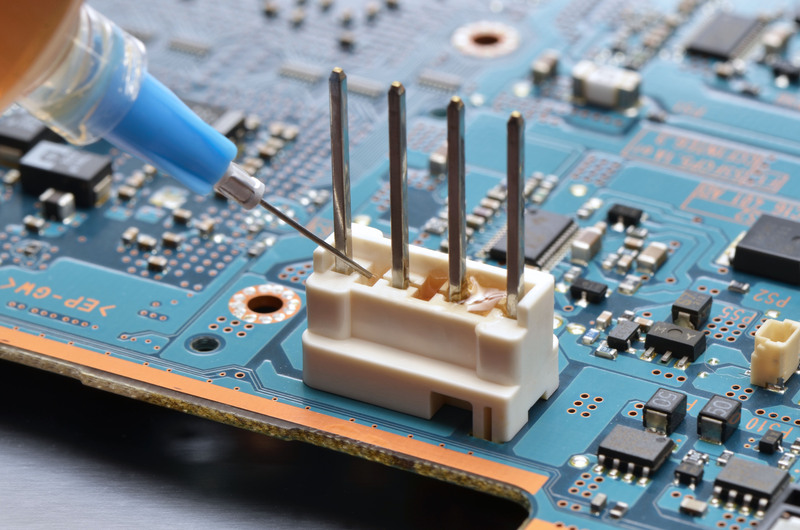 Formulated for medical electronic applications, Master Bond EP62-1LPSPMed is a biocompatible two part epoxy that has a mixed viscosity of 150-300 cps. Its ultra low viscosity makes it ideal for use in underfill, impregnation and porosity sealing applications, while it also performs well in bonding, coating or encapsulation. This product exhibits excellent wetting properties and can readily flow by capillary action in tight clearances or beneath devices. It adheres well to metals, plastics, composites, polyimides, glass and ceramic substrates. EP62-1LPSPMed has an advantageously long working life of 12-24 hours for a 100 gram mass and requires moderate heat for curing. Cure schedule is overnight at room temperature followed by 60-90 minutes at 80-100°C. The higher the temperature the faster the cure. Post curing at 100-150°C for 3-4 hours will optimize its properties. Master Bond EP62-1LPSPMed passes USP Class VI and ISO 10993-5 cytotoxicity requirements. It also has been tested for 1,000 hours at 85°C/85% RH. It has excellent toughness, tensile strength of 11,000-12,000 psi and resists repeated cycles of ethylene oxide, radiation, and chemical sterilization. This compound has volume resistivity of more than 1014 ohm-cm, withstands mechanical shock/vibration and is serviceable from 4K to +400°F. In very thin sections it will transmit light, but in thicker sections it is opaque. Shore D hardness is 75-85 and its glass transition temperature is 125-130°C. EP62-1LPSPMed has a 100 to 25 mix ratio by weight and can be supplied in standard sized units: ½ pint, pint, quart, gallon, 5 gallon kits. It can also be packaged in premixed and frozen syringes, as well as in cartridges for gun dispensers. Shelf life in original unopened containers is 6 months.